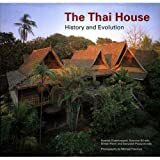 The Thai house : history and evolution / Ruethai Chaichongrak ... [et al.] ; photography by Michael Freeman. Contributor(s): Ruethai Chaichongrak | Freeman, Michael.